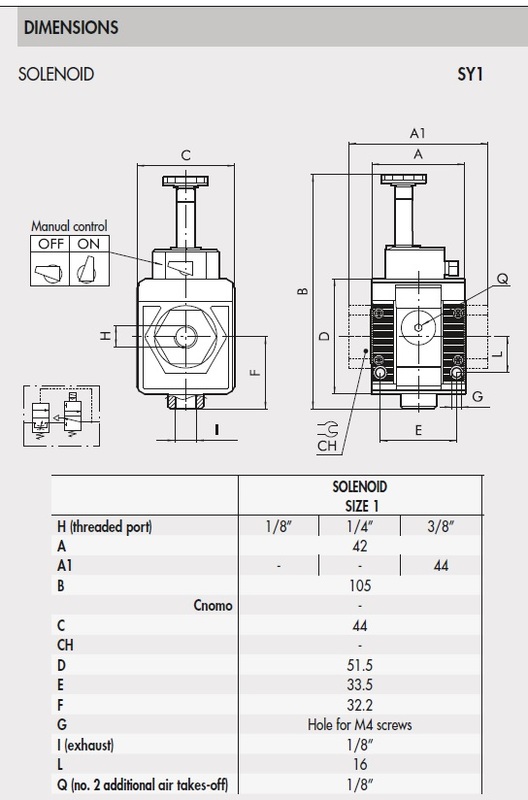 5610A700 Syntesi Softstart Valve SY1 | DamenCNC B.V. The progressive starter is a pneumatic component that allows air enter the circuit gradually, thereby avoiding excessive pressure bursts. 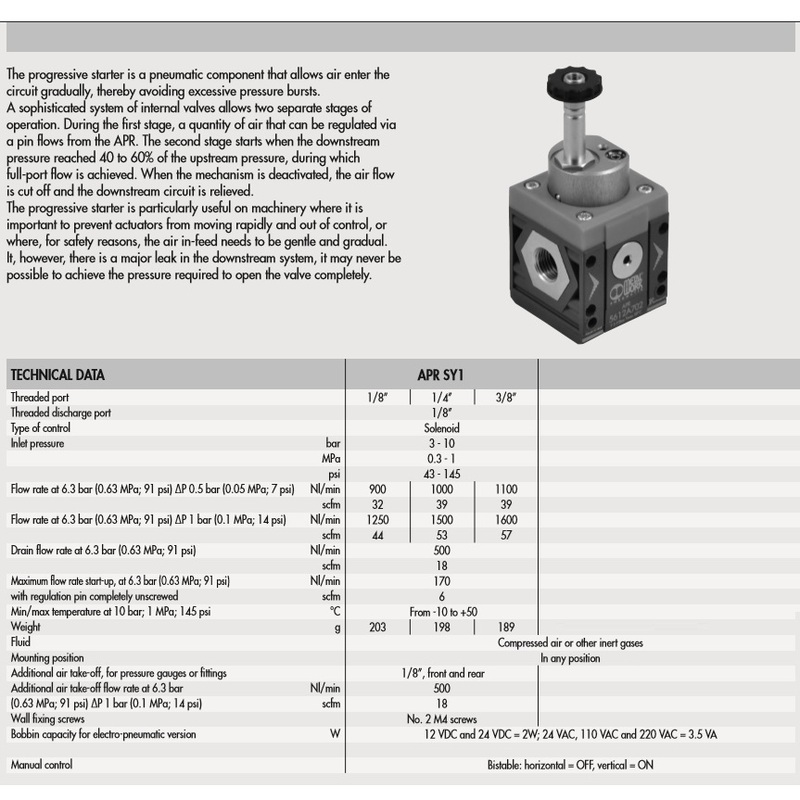 A sophisticated system of internal valves allows two separate stages of operation. During the first stage, a quantity of air that can be regulated via a pin flows from the APR. The second stage starts when the downstream pressure reached 40 to 60% of the upstream pressure, during which full-port flow is achieved. When the mechanism is deactivated, the air flow is cut off and the downstream circuit is relieved. 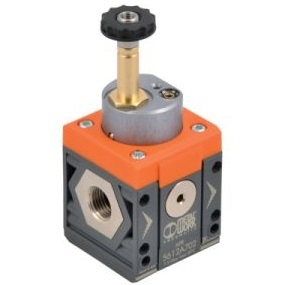 The progressive starter is particularly useful on machinery where it is important to prevent actuators from moving rapidly and out of control, or where, for safety reasons, the air in-feed needs to be gentle and gradual. 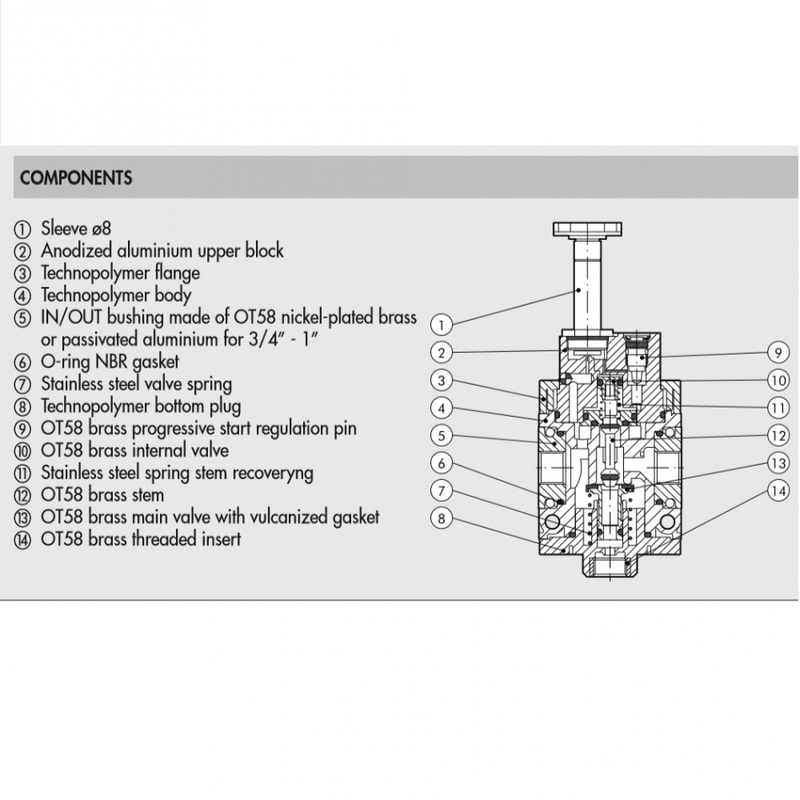 It, however, there is a major leak in the downstream system, it may never be possible to achieve the pressure required to open the valve completely.